Discussions to extend the pilot of a new mobile drug screening technology pioneered by British company Intelligent Fingerprinting to nine coroners’ areas are underway following presentation of evaluation data to the recent Coroner’s Society of England and Wales Annual Conference. The trial is validating a new non-invasive drug screening technique that could help coroners prioritise when costly post-mortems are needed and enable earlier release of the deceased for burial. Last year 223,841 deaths were reported to coroners in England and Wales.1 Of these, 40% required a full post mortem examination to assist in determining the cause of death.1 A post mortem often includes toxicology tests to determine the presence of any drugs that might provide an insight into the cause of death. 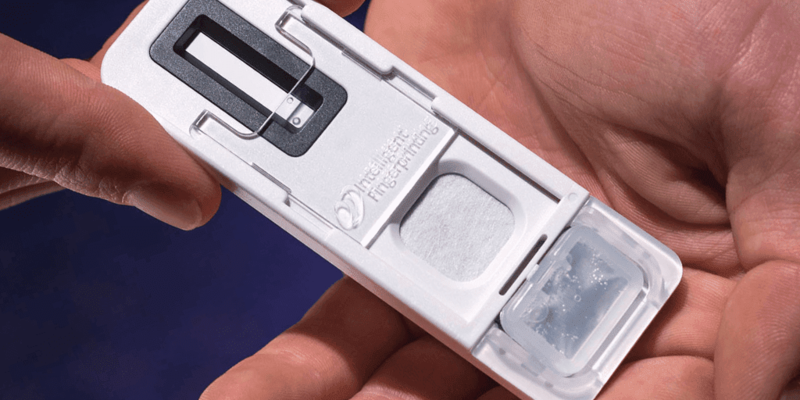 Intelligent Fingerprinting’s drug screening device collects and analyses sweat from a person’s fingertip to provide information on recent drug use, with results in under ten minutes. It could potentially be used within mortuaries to provide early intelligence of drug use. The Coroner’s Society Conference was shown data from a pilot being conducted by Intelligent Fingerprinting and the Sheffield Legal-Medico Centre. This trial, funded by the government’s innovation agency Innovate UK, is testing potential use of the Intelligent Fingerprinting drug screening device by coroners and mortuary staff to gather early intelligence about cause of death. With the relatives’ consent, 180 fingertip sweat samples collected from the Sheffield mortuary ‑ representing a wide range of categories of death and preservation of bodies ‑ were tested in Intelligent Fingerprinting’s laboratory for the presence of opiates. A correlation of over 90% was achieved in samples analysed using Intelligent Fingerprinting’s technology compared with post-mortem toxicology results. 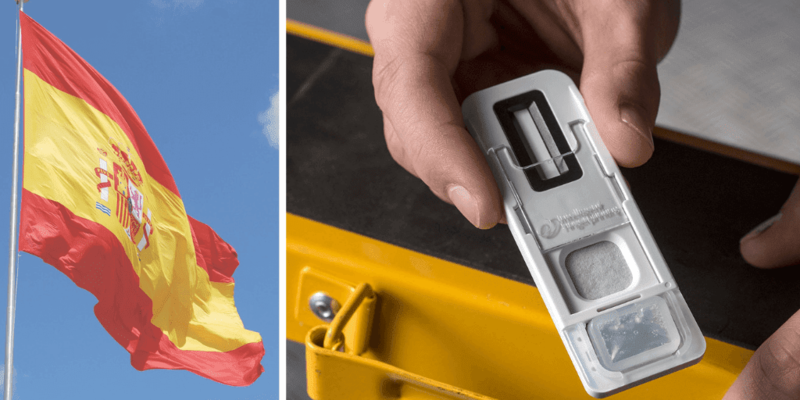 Samples are now being tested in real time in the mortuary using the company’s portable drug screening device and the first results show a similar correlation to conventional post-mortem toxicology results for opiates and cocaine. “We are very pleased by the enthusiasm shown by other coroners offering to help us build our data set by taking part in a wider trial of our device,” added Dr Yates. Dr Yates also presented the results of a survey of Coroner Society members attending the conference, in which over 90% of respondents said that the Intelligent Fingerprinting drug screen could provide useful intelligence. Respondents agreed that benefits of the screen would include a more focussed use of toxicology tests, improved decisions about the cause of death and earlier release of the body. 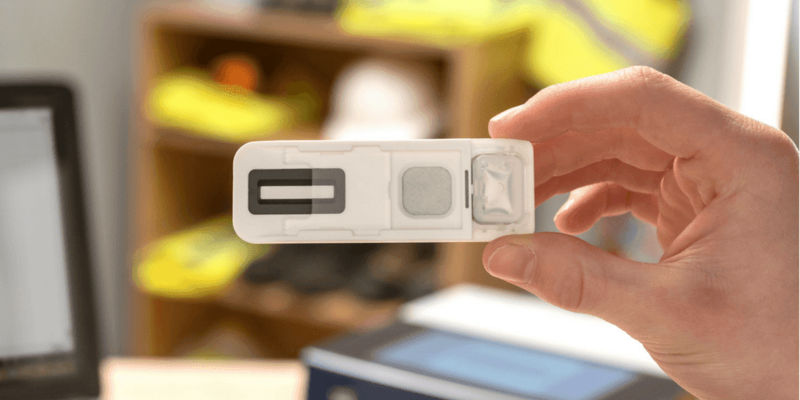 The device is the first product to be released by Intelligent Fingerprinting, a company specialising in the development of non-invasive, fingertip-sweat-based diagnostic screening technology. The cutting-edge technology detects the metabolites within a person’s fingertip sweat. Metabolites can be detected in sweat for many hours after the initial substance was ingested, providing a valuable insight into the drugs which may have been used immediately prior to death. 1. Coroners Statistics 2014 England and Wales. Ministry of Justice Statistics bulletin, 14 May 2015.